A unique mockup of retro style photo frame leaning on a grunge theme wall. The scene also shows vintage style flower vase with white flowers and green leaves. 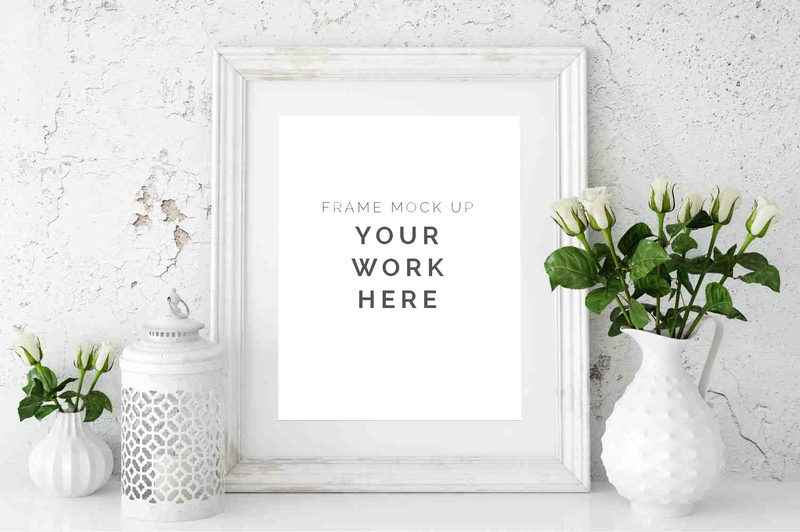 You can buy high resolution version Grunge Wall Retro Frame Mockup from Gumroad shop.